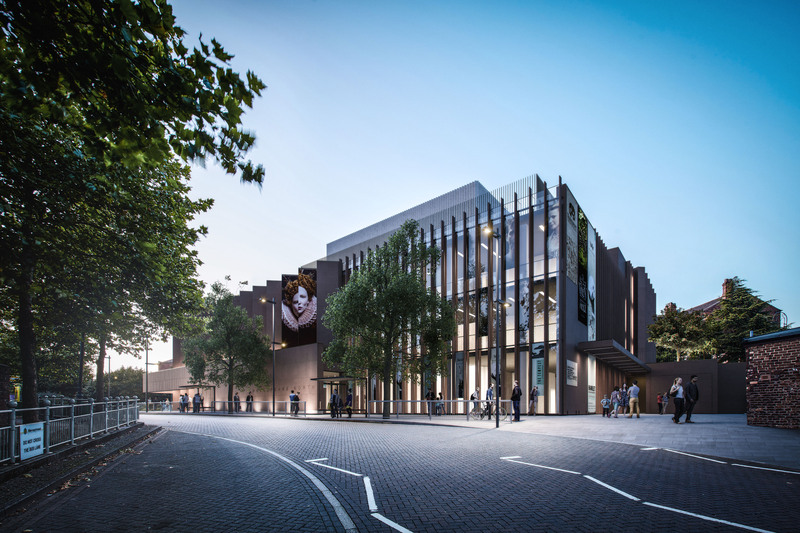 From Monday 8 April, Kier will start the construction of the Shakespeare North Playhouse in Prescot. 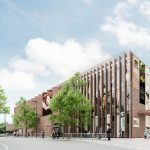 The unique theatre and education centre will celebrate Knowsley’s fascinating links to Shakespeare and is expected to attract hundreds of thousands of new visitors to the area each year. The initial work will require the closure of Mill Street for around 5 weeks to allow for the diversion of the existing drainage in and around the site and the installation of new drainage. Once this is complete, the current hoardings will be moved to reduce the width of Mill Street, which will still allow pedestrian access to Mill Street but limited traffic access. Following this, concrete piles, which will form the structure of the Playhouse will be installed and then the site will be excavated in preparation for the main phase of construction work. From Monday 8 April part of the Mill Street car park will be closed to the public as it will be used for the site compound. 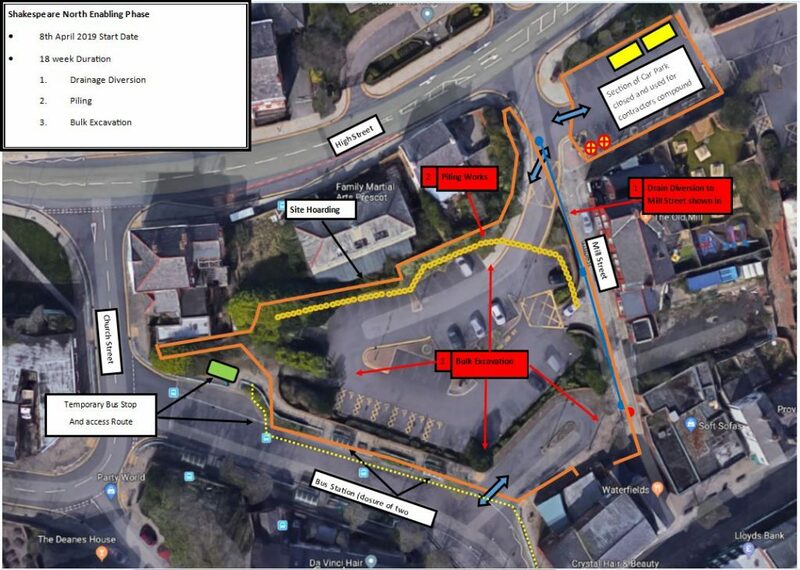 Access to the remainder of the car park will still be possible via Leyland Street. From Monday 15 April, Mill Street will be temporarily closed for around five weeks. After this it will be open for pedestrian access but restricted traffic access. During April part of the bus station on Prospero Place will be closed to pedestrians, with a temporary bus stop located close to Church Street and temporary pedestrian access will be made available to access Eccleston Street. Full time security will be employed for the duration of the works and construction access to the site will initially be from High Street and later on via an entrance in the bus station. Site working hours will be Monday-Friday 8am-6pm, with no weekend working at this point. 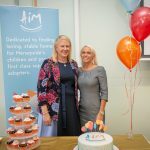 This initial enabling work will last approximately 18 weeks and will be followed by the main phase of construction work for the Playhouse which is expected to open in spring 2021. Find out more about Shakespeare North Playhouse.